May was a crazy busy month for us. We did tons of traveling. Savannah, St. Augustine, Memphis and spent Chicken Legs' birthday in Amelia Island. 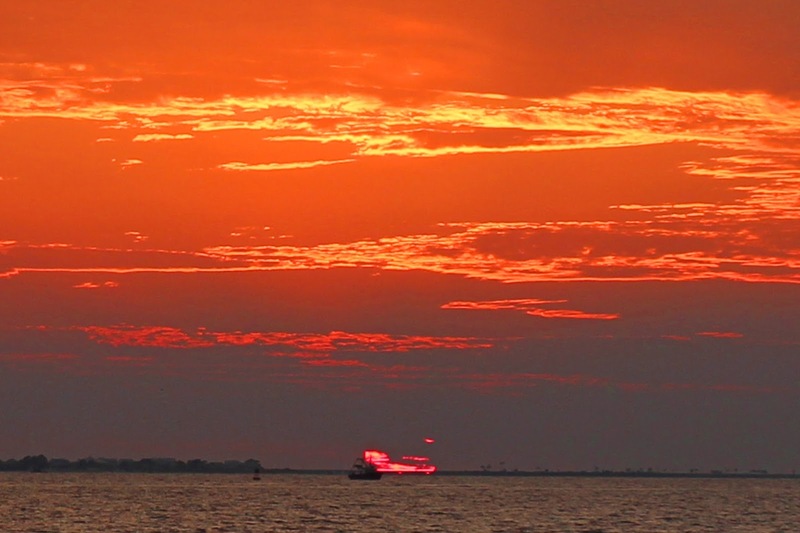 I will be sharing more posts about our travels in June. We don't have any trips planned in June or July. It is way too hot to travel! 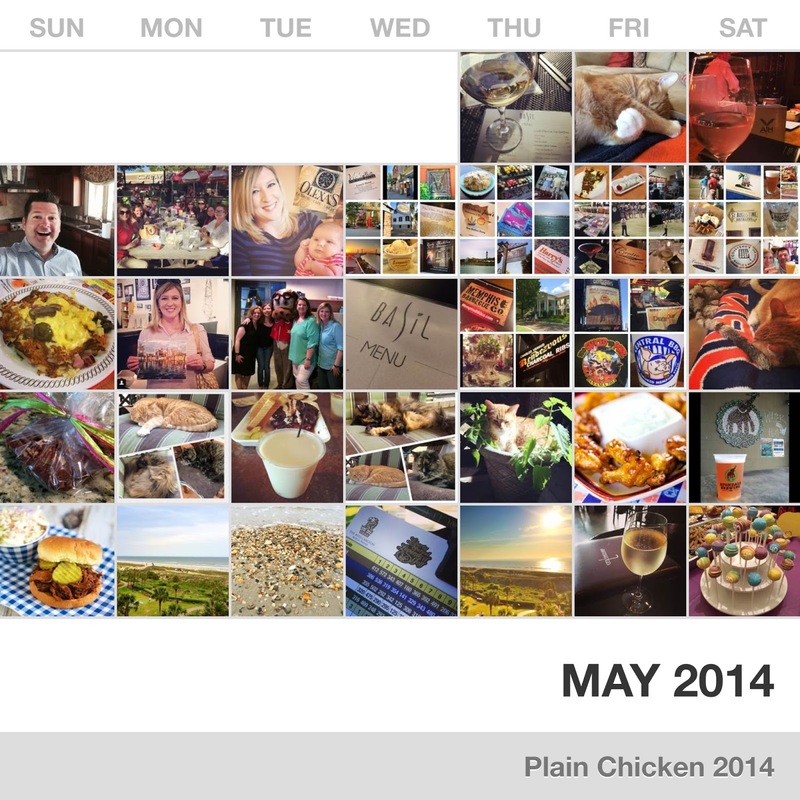 Check out the recap of May and don't miss the Treatise Giveaway at the end of the post! The cats are getting along much better. We did discover that Fluffy is deaf. She has been having some issues the past few months. She cries at the top of her lungs at night. It is like she is lost and scared. I finally figured out that she couldn't hear when I took out the ironing board. The cats usually scatter, but she stayed put when I took it out. We snapped and clapped behind her and she didn't flinch. Now we know why she has been startled when we touch her when she is sleeping and gets upset when she can't find us. We are now using lots of hand signals and taking her to bed with us at night. We are all communicating much better since we figured out she is deaf. She is doing great otherwise. 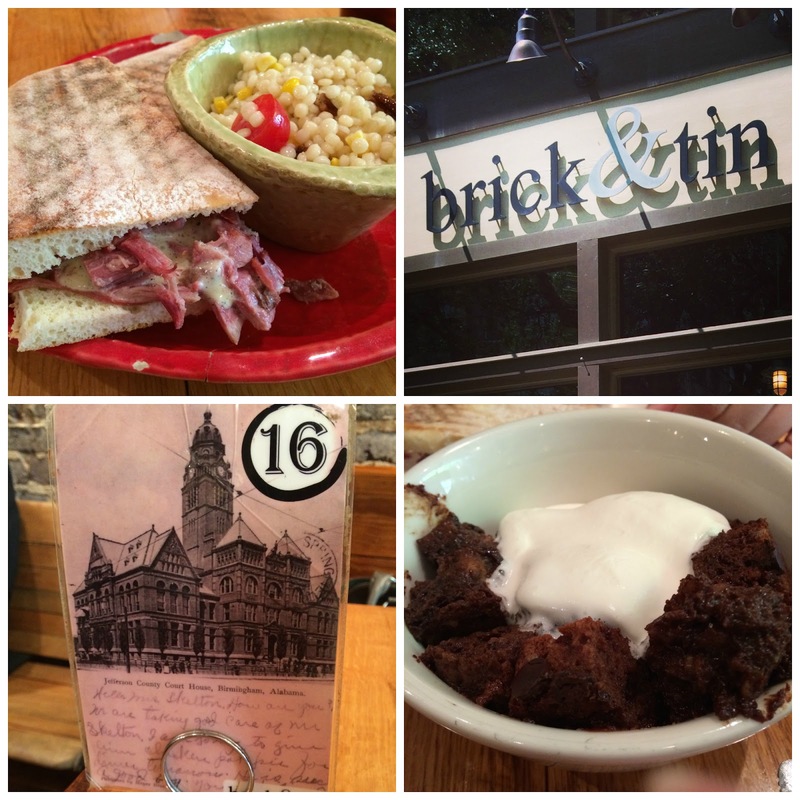 I met Katherine (Grass-Stains) at Brick and Tin for lunch in May. It was my first time here, and I loved it! I got the Brisket Panini and the Couscous Salad. The panini was wonderful. The bread was so soft, and I could drink that white BBQ sauce. The couscous had toasted pecans, roasted corn, tomatoes and was tossed in a champagne vinaigrette. Super! For dessert, Katherine ordered us a Chocolate Bread Pudding. YUM! I heard they have a Strawberry Bread Pudding on the menu for summer. Guess I better head on over there and sample it! I've had this cute phone case pinned for ages. I finally broke down and bought it. I love it! It is SO cute. I died when I opened the box and saw how the case was packaged. They cut a bag into a cat shape. LOVE! They also included a little cat charm. The case is big enough to hold my iPhone, drivers license and a credit card. I took it to dinner when we were at the beach. 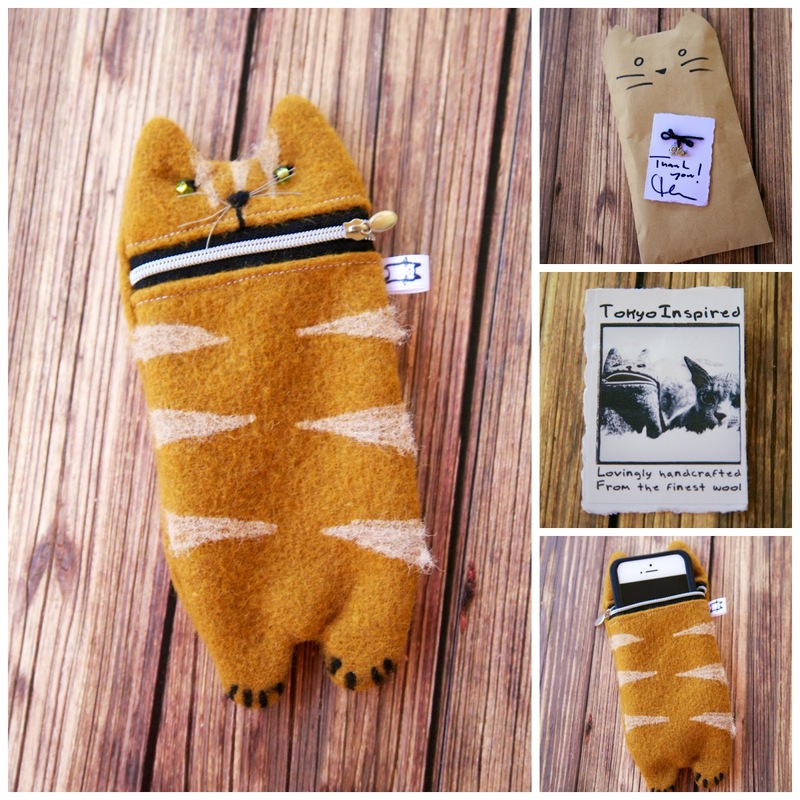 The Tokyo Inspired Etsy shop has so many cute items and lots of colors. Check it out if you are a "crazy cat lady" like me! 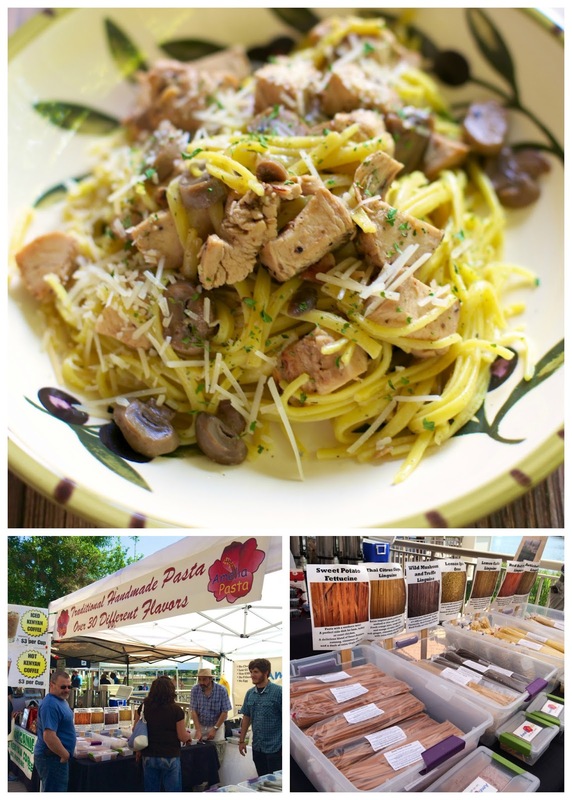 When we were in St. Augustine, we stumbled upon a Farmers Market at the World of Golf resort. I couldn't resist this pasta from Amelia Pasta. The pasta is made with real vegetables. It has no eggs, nuts or dairy added. The pasta has SO much flavor that you don't need any sauce. We grilled some chicken and tossed it with the pasta. I just added some pasta water to make a light sauce. SO yummy! 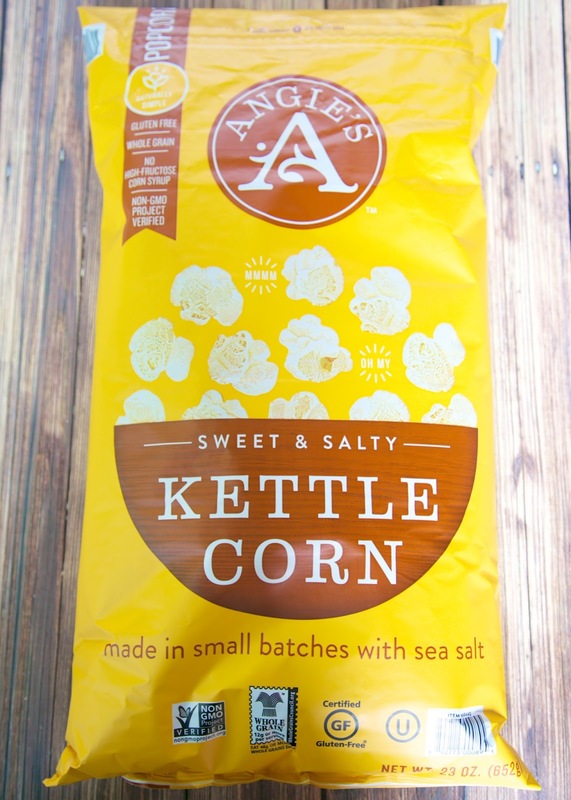 I am totally addicted to this Sweet and Salty Kettle Corn. I found it at Costco. I am going back to stock up on it. It is the perfect combination of sweet and salty. Go get some! We went to a fundraiser for Picture Birmingham at Silvertron Cafe in May. 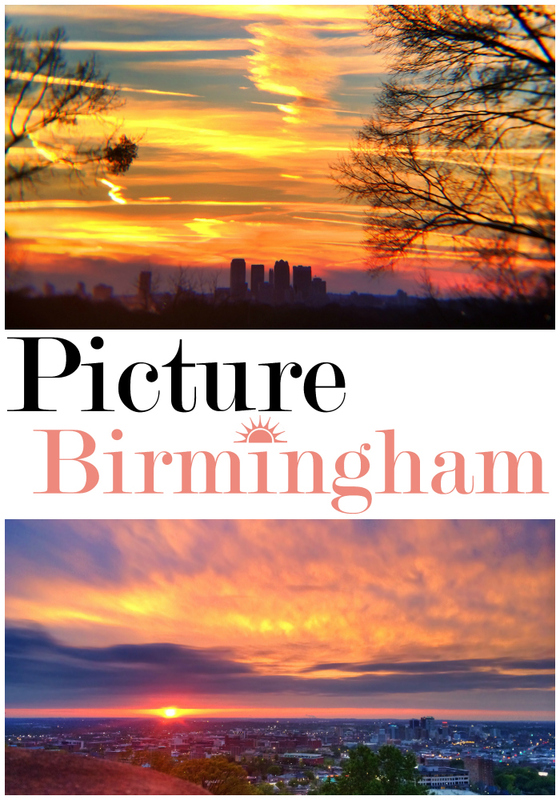 Picture Birmingham is the brainchild of Rachel Callahan. Rachel takes the most amazing pictures of Birmingham. Seriously! She was looking for a way to "give back" and started selling the photos - donating all the profits to benefit The Wellhouse. Rachael sells prints, canvases, and note cards. You can purchase them here. 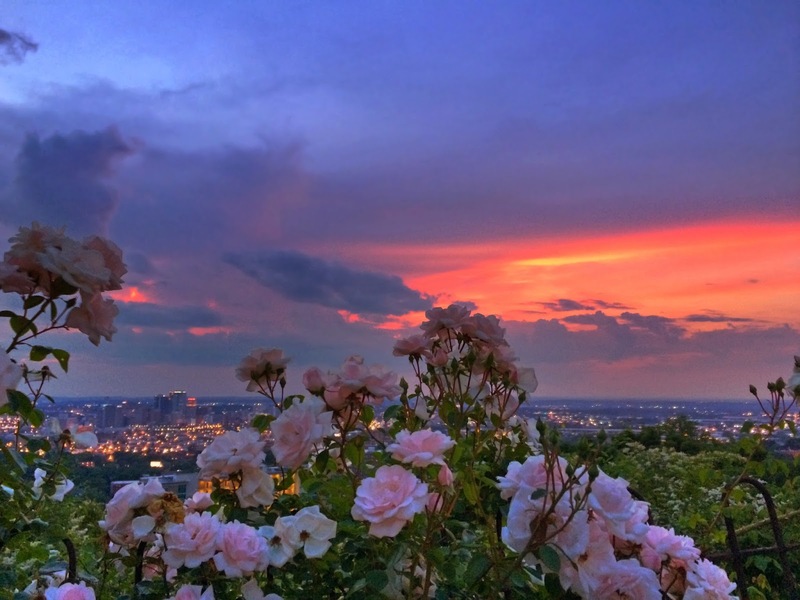 Rachael just did a post of her favorite sunset spots in Birmingham. Here is the photo I purchased. I love it! I especially love that my purchase goes to a great cause. I cannot wait to see this movie! Melissa McCarthy makes me LOL! Grilling season is in full swing! Don't miss our tutorial on how to light charcoal without lighter fluid. It is so simple and your tastebuds will thank you! Check out the full post and learn how to get started with grilling for under $100! Have you heard of Treatsie? 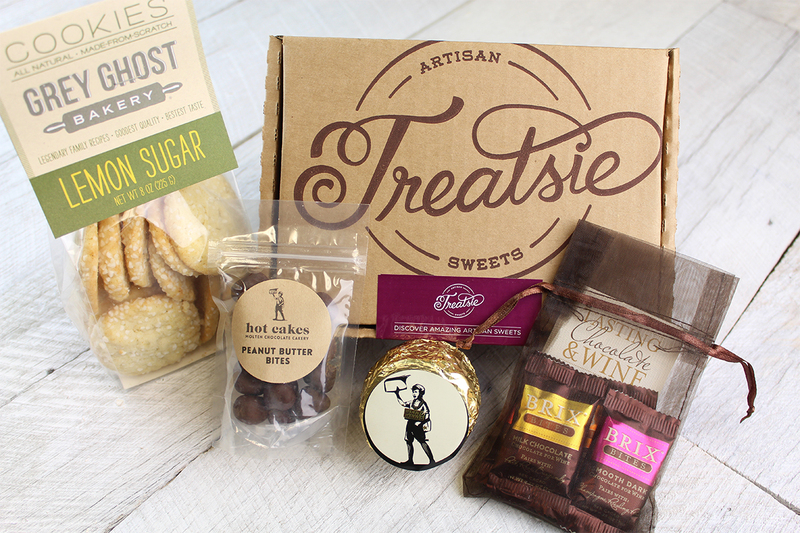 For just $15 per month, Treatsie will send a curated box of artisan sweets to you from 3-4 small independent vendors. Each box is valued at $20-$25, so the $15 you are paying is a great deal! No commitment required, you can cancel at any time! 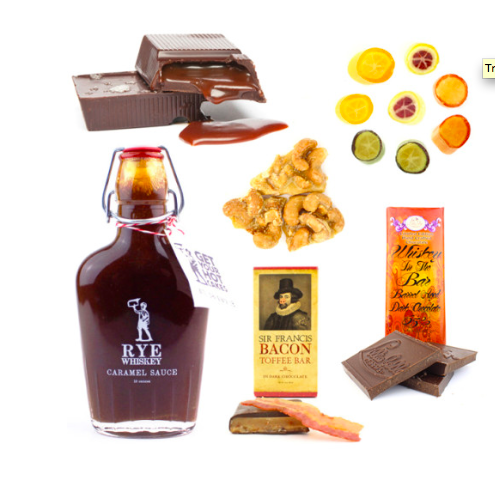 If you like what you got in your subscription box, you can head over to the Treatsie site and buy your favorites! Treatise sent me a box to sample, and I loved it! It would make a great gift. Who wouldn't want sweets delivered to their door every month? All you have to pay is $4.95 shipping. If you aren't interested in a subscription box, Treatsie is also an online shop for sweets and treats of all types. I really love this Father's Day Box! You get all this for $59. 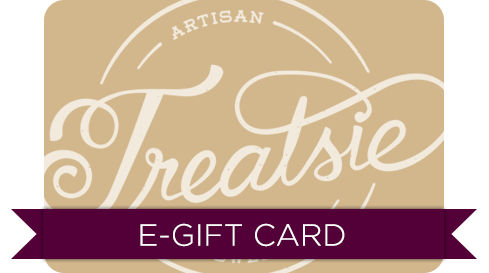 Treatsie is going to give one luck Plain Chicken reader a $50 gift card! The contest ends Tuesday, June 10, 2014 @ 11:59pm CDT. If the winner does not respond, a new winner may be selected. Thank you so much for coming to Silvertron to Support Picture Birmingham and The WellHouse! It was fantastic, as always, to see you! I'm so sorry to hear about your little kitties deafness!! It has to be scary... I know because we have a blind dog who is having a very hard time coping with that and on top of that she is also getting hard of hearing!!! It is scary and difficult for animals! Their lives are completely different! You hope they adapt, but some have a very hard time doing so, while others handle it very well!!! Good luck with your baby! !